These three papers examine the broader theme of deviations from presidential term limits. The first paper identifies the economic and political effects of these deviations in low- and middle-income democracies. Using event study analysis, this paper demonstrates the negative political effects of term limit deviations; the economic effects are less clear, however, showing mixed results. 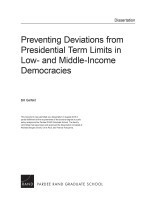 To reduce these negative consequences, this paper recommends that low- and middle-income democracies prioritize the respect for presidential term limits in their domestic policy agendas to protect political rights and civil liberties and reduce corruption. 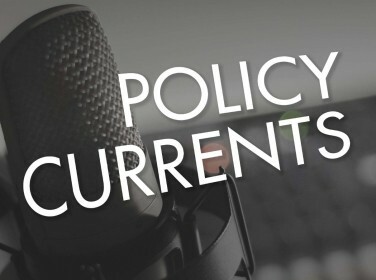 High-income countries, for their part, should emphasize the importance of maintaining presidential term limits through their foreign policy to promote political freedom and transparency and should consider conditioning aid upon this requirement. The second paper argues that the retention of term limits in Colombia and their elimination in Venezuela in 2009 was a critical determinant that led to the divergent fortunes of these once-similar countries. Using a causal narrative approach, this case study reveals the key institutional and environmental differences that led to decidedly different economic and political fortunes in these two countries. The continued adherence to presidential term limits is itself a crucial factor, but the active presence of a loyal opposition, a more diversified macroeconomy, and the independence of key institutions, in particular the judiciary, also proved critical to paving the path to prosperity for Colombia; their absence in Venezuela, however, led down a road to ruin. The third paper evaluates a set of relevant historical cases using a qualitative comparative analysis method to determine which institutions have been associated with the successful prevention of term limit deviations in the past. The findings of this study suggest that governments and civil society organizations in low- and middle-income democracies that want to protect term limits, as well as their high-income donors, should make promotion of the independence and strength of national legislatures their priority, in addition to supporting independent judiciaries, electoral commissions, and militaries and strong opposition parties. 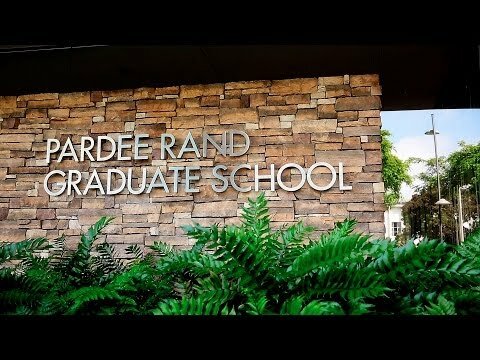 This document was submitted as a dissertation in August 2018 in partial fulfillment of the requirements of the doctoral degree in public policy analysis at the Pardee RAND Graduate School. The faculty committee that supervised and approved the dissertation consisted of Nicholas Burger (Chair), Chris Paul, and Francis Fukuyama. Gelfeld, Bill, Preventing Deviations from Presidential Term Limits in Low- and Middle-Income Democracies. Author, 2018. https://www.rand.org/pubs/rgs_dissertations/RGSD419.html.